On the day of the funeral, March 15, the dogs even formed a procession behind her hearse. 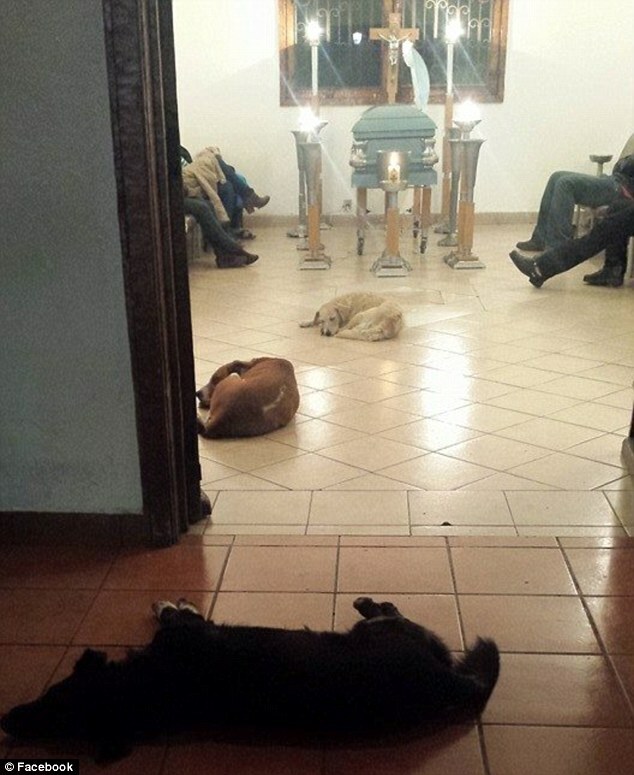 A funeral for a woman in Mexico took an unexpected turn when a number of stray dogs unexpectedly showed up to pay their respects. Animal lover Margarita Suarez of Merida, Yucatan, passed away earlier this month after battling illness. During her life she was known for her kindness to all kinds of animals and every morning she would feed the stray dogs and cats that would show up at her home. She was also known for taking a bag of food along when she went out so she could treat other strays she encountered, reports Misiones Online. Family members were stunned when the dogs suddenly appeared at the funeral parlor where Margarita’s body was being kept. Workers at the funeral home denied any knowledge of the animals and said they had never seen them before. Realizing that the animals had come to pay their respects to Margarita, the staff allowed the dogs to come in and they laid peacefully on the floor near the woman’s coffin. On the day of the funeral, March 15, the dogs even formed a procession behind the hearse and then returned to the funeral home. They only left once Margarita’s body was being prepared for cremation. ‘In pain, they jumped for joy, it was wonderful,’ said Margarita’s daughter Patricia Urrutia. She believes that the animals had wanted to be there to say goodbye to someone who had been so good to them.